October 6, 2018 – The award, which recognizes infectious disease specialists under the age of 45, will be presented at ID Week in San Francisco. The Infectious Diseases Society of America (IDSA) has presented its 2018 Oswald Avery Award for Early Achievement to the DCRI’s Susanna Naggie, MD, MHS, for her novel research on the treatment of patients co-infected with HIV and hepatitis C virus (HCV). The award, which will be formally presented at ID Week 2018 in San Francisco, recognizes members or fellows of IDSA age 45 or younger who have demonstrated outstanding achievements in an area of infectious diseases. 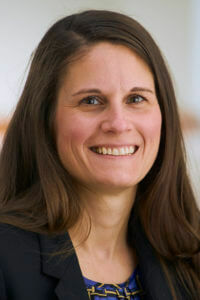 Currently an associate professor of medicine at Duke University School of Medicine, where she has been a member of the faculty since 2009, Naggie is medical director of the Department of Medicine’s Clinical Research Unit and director of infectious diseases research at the DCRI. In addition to her own research, she has served as the primary mentor for many trainees, including interns, residents, fellows, and junior faculty. This entry was posted in 2018 News Archive, Awards, Infectious Diseases, News. Bookmark the permalink.